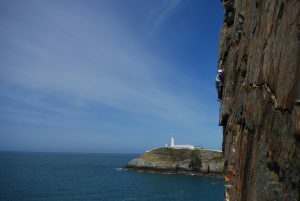 North Wales is blessed with some of the best Sea Cliff Climbing in the UK. 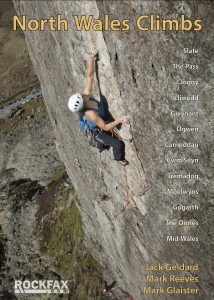 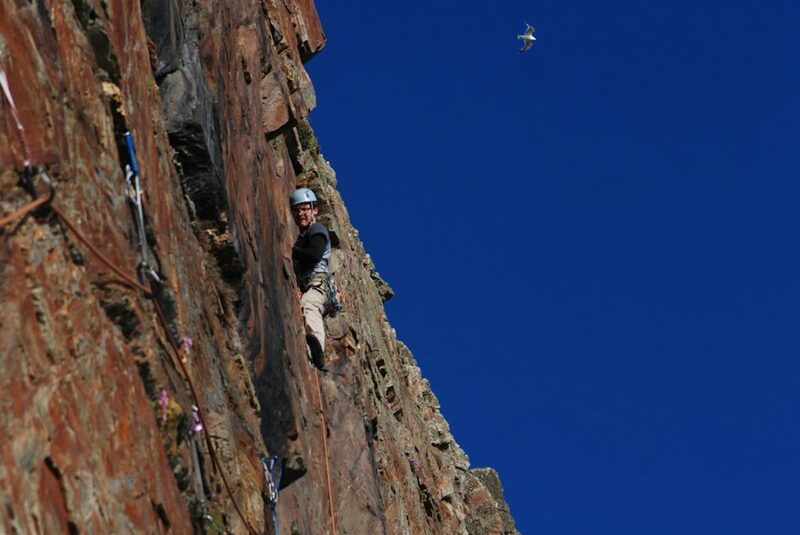 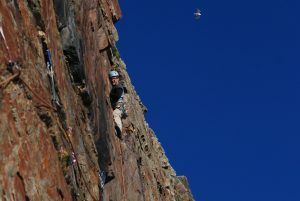 The name Gogarth can simultaneously spread fear and excitement into a climber. 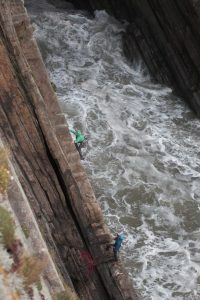 If you want a set of skills to tame these giant sea cliffs then our sea cliff climbing course is ideal. Sea Cliff Climbing is possibly one of the most amazing climbing experiences that you can have climbing in the UK. 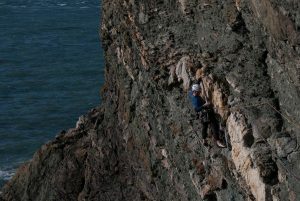 What’s more the veritable home of sea cliff climbing in the world, Gogarth is just outside Snowdonia in North Wales. 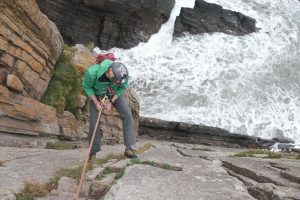 So if you’d like to climb ‘A Dream of White Horses’ or just experience what it is like to climb where the sea meets the sky, and be caught ‘twixt the devil and the deep blue sea then this course is for you. 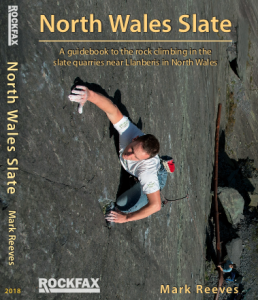 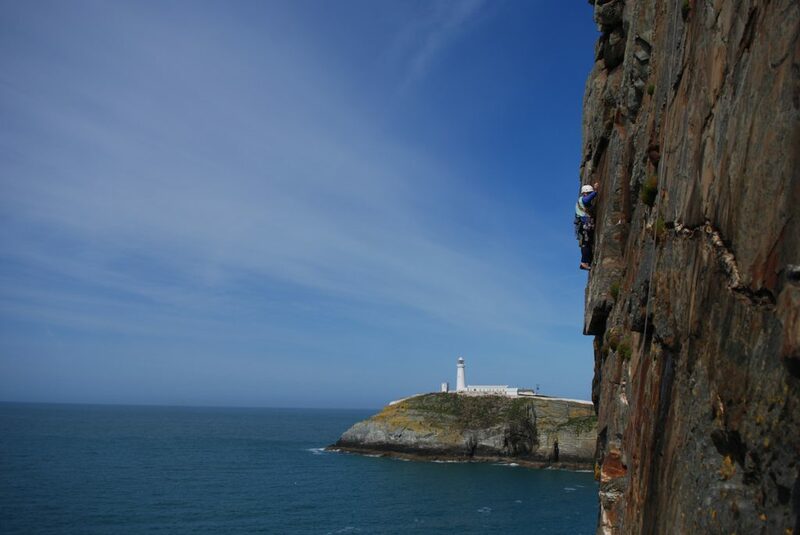 During this course we will climb wherever is appropriate for you, whilst VS climbers will get more out of this course, there are also sea cliffs dotted around that will allow anyone to experience and enjoy Wales’ most dramatic coastline. 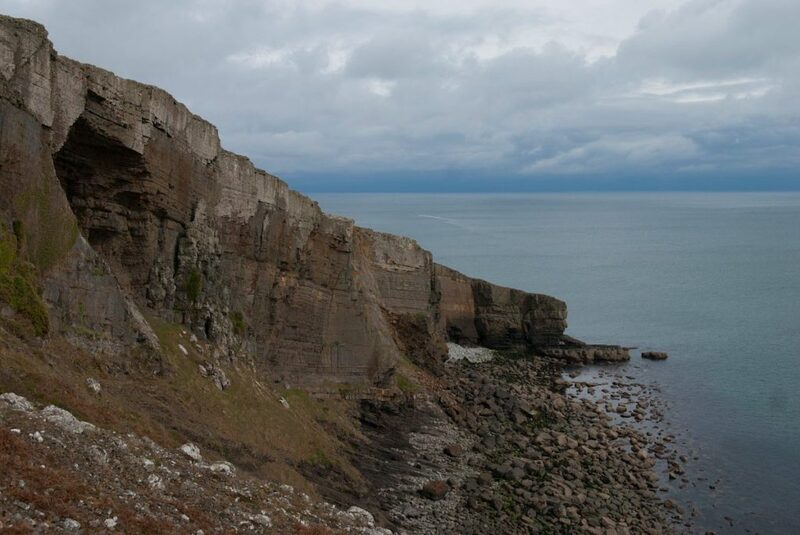 So whether its the great sea cliffs of Gogarth, the Lleyn Peninsular or The Great Ormes. 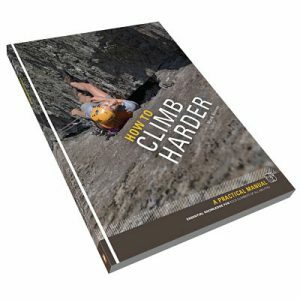 This course will open a whole new world of climbing possibilities to you. 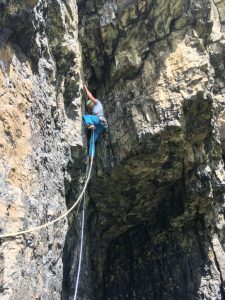 By the end of the course you’ll be hooked on the climbing experience that sea cliff offer and be more confident to come back and explore for yourself. 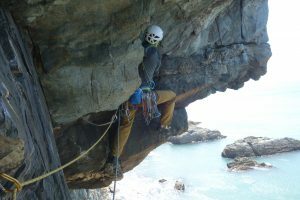 Simon on Mars, E2 Swanage. 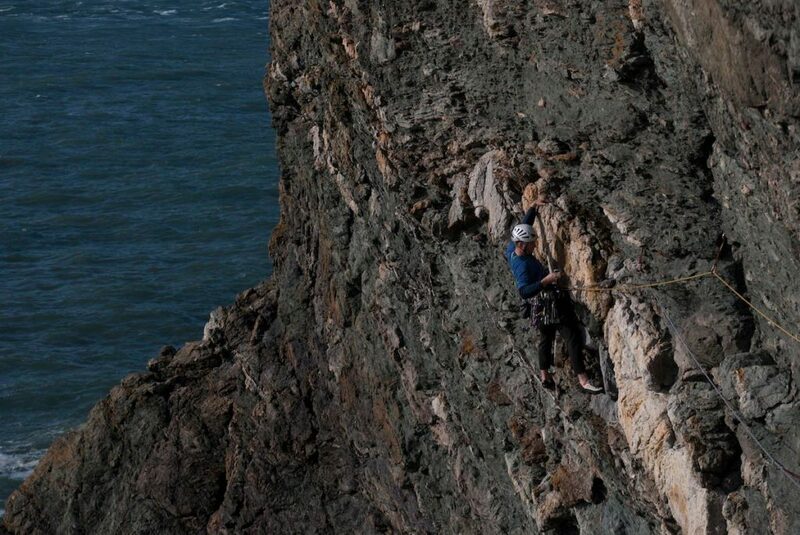 Martin Chester climbing the classic Bardsey Ripple, E2 on the Llyn Peninsular. Jesse King on the amazing severe Shangri La at Baggy Point on our Uk Trad Tour. Could you rescue your climbing partner from this situation?